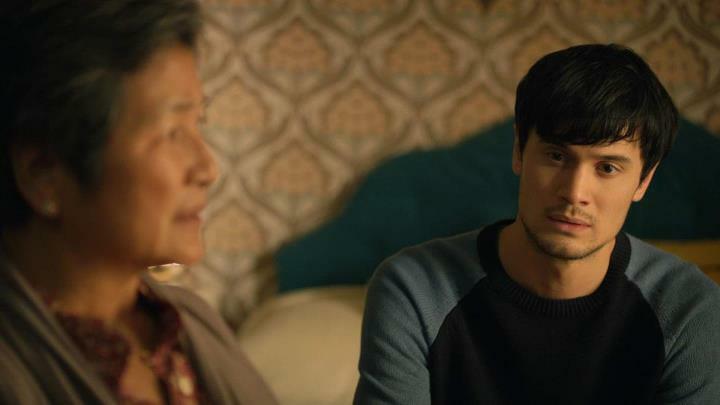 TrustMovies: A delicate little flower of a movie, Hong Khaou's precious LILTING, well... lilts! 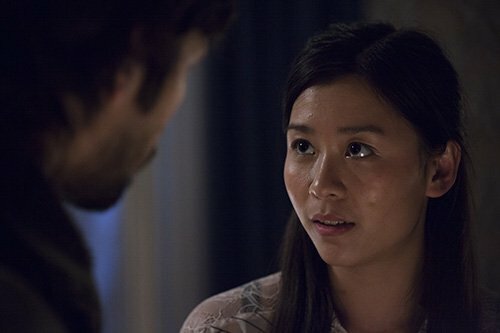 A delicate little flower of a movie, Hong Khaou's precious LILTING, well... lilts! 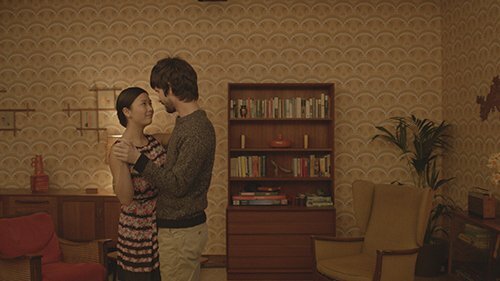 Dancing takes up a certain amount of screen time in LILTING, the first full-length film (after five short ones) from Cambodian-born writer/director Hong Khaou. So does music, movement, and especially the manner in which the film's most special character -- a young man named Kai -- weaves in and out of the story. 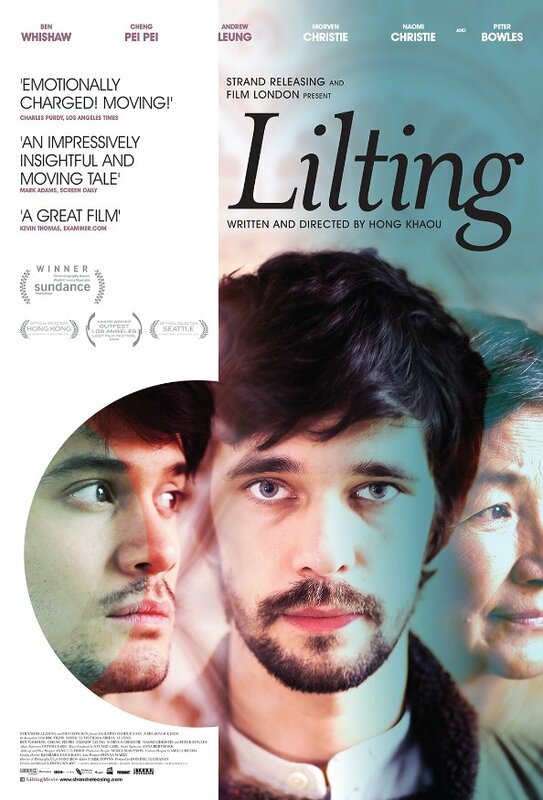 So Lilting is indeed a lovely and appropriate name for both this movie and its "action," so to speak. In the very first scene, a mother gets a visit from her dear son, and as they chat and laugh and spar with each other, we get a wonderful sense of the strong bond of love that joins them. Then a third party enter the room -- and everything changes. These lovely opening moments from filmmaker Hong, shown at right, make a fine precursor of things to come. Suddenly, and quite delicately, he has taken what we imagined to be the case and changed it totally so that we now see things quite differently. The movie continues in this vein, as it weaves together present, past, dreams and imaginings, telling its tale of the forms that grief can take as we try somehow, and often hesitantly, to move beyond the loss of something precious. 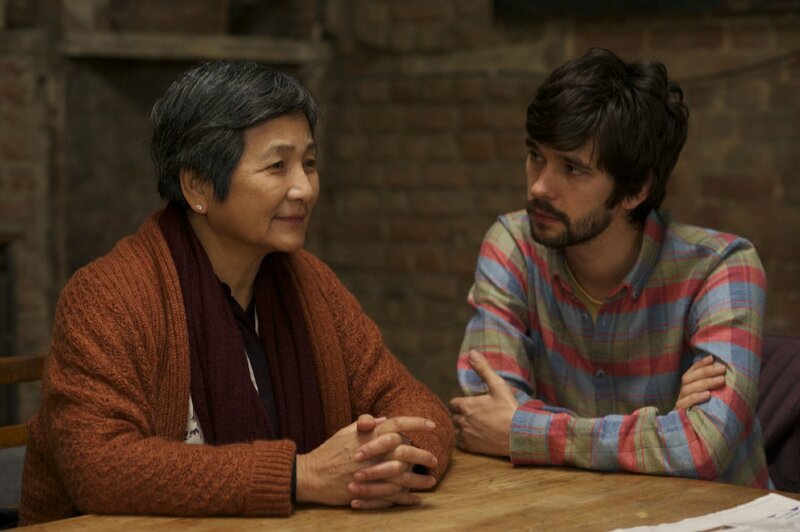 "Lilting" also reflects another important part of this film. Much of the language must be translated from Chinese into English, so that two of the important characters can communicate with each other. For those of us who do not understand the Chinese dialect or the Cambodian used here, what we get instead is the lovely "lilt" of the language. Because of the hugely important and often emotional-if-buried goings-on, Vann becomes, as most of us would, involved in all this, sometimes asserting herself and her views into the picture, to ends both good and not-so. The need for and effect of this translation mirrors quite beautifully the stylistic distancing, as well as the delicacy of the situation at hand. 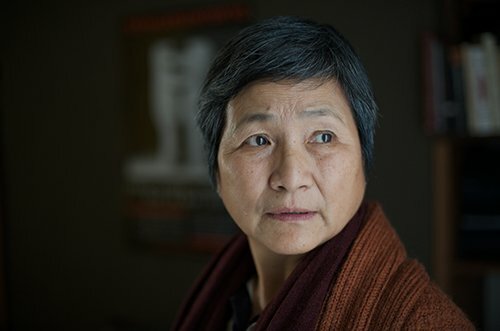 As we begin to know and understand the characters of Richard and Junn, and as they begin to understand each other (her son never had the courage to tell his mother that he was gay and that Richard was his lover), the movie deepens and touches us in odd and memorable ways. It rarely gives in to outright soapiness, however. Hong keeps his situations grounded; anger is just as likely to surface as sorrow. By the finale, a door or two have been opened. Characters have learned and grown a bit and will keep moving on. There's certainly nothing like "closure" happening, but in a film this delicate and measured, the writer/director's tact proves wise. Performances from all concerned could hardly be better. 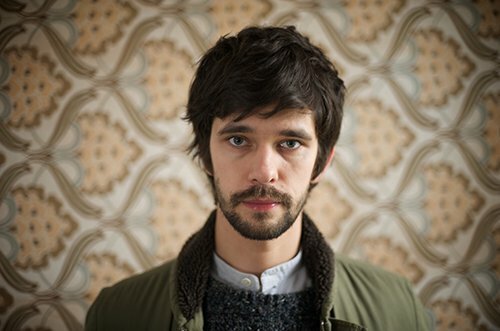 Whishaw is as fine -- specific and emotionally on-target -- as he always is, Cheng withholds and keep things buried just enough to make us root for her even more, and Ms Christie is charm, sweetness and honesty incarnate. But it is Andrew Leung as Kai (above, left, with Whishaw, and below, right, with Cheng), who pretty much steals the movie. With his gorgeous face and graceful body, he lilts through the proceedings with an unassuming gravity, wit and beauty that binds the film. He, of course, is the one character here who's not alive, and yet his liveliness, together with the place he occupies in the hearts of our two protagonists, transcends everything. 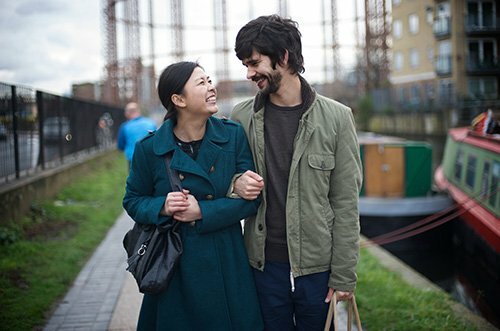 Lilting -- from Strand Releasing and running 91 minutes -- opens this Friday, September 26, in New York City exclusively at the Village East Cinema, and in the Los Angeles area on Friday, October 3, at Laemmle's Playhouse 7.